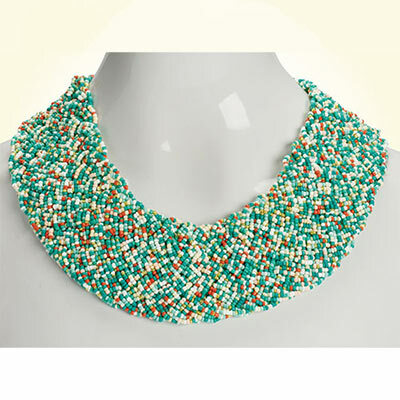 This unique handcrafted collar style necklace is made of thousands of multicolored glass seed beads. Each Coral and Turquoise Woven Necklace is one of a kind! 16"l with 3" extender.